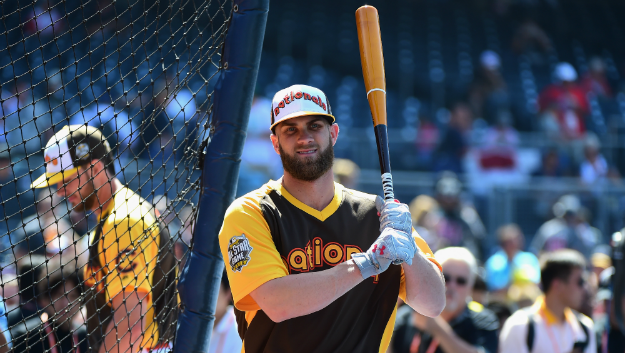 According to multiple reports, the Padres have a meeting set up sometime today with former MVP and perennial All-Star Bryce Harper in Las Vegas. When Rosenthal tweets it, it is usually a reliable source, perhaps the most reliable in all of baseball. Before you say “we don’t need any more outfielders, we have enough!” let’s think about this for a minute. Are any of the Padres outfielders named Bryce Harper? 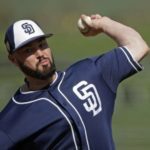 Do any of the Padres current outfielders have an MVP in their trophy case? What about multiple postseason appearances? I didn’t think so. 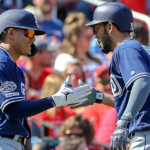 That the Padres were linked to Harper and Manny Machado this past week makes for an exciting time to daydream about the possibilities. Both players would look good in brown. Since 2015, only Joey Votto has a higher wRC+ than Bryce Harper’s 149 over that span in the National League. He has posted an 8.3 WAR over the last two seasons combined. The highest Padres player over that span is Manuel Margot with 2.5. He sits at 184 career home runs, at 26 years old, which is a higher total than Hank Aaron or Mark McGwire had before turning 26. Needless to say, the Padres need Harper. Badly. What would a contract in acquiring Harper look like? Very similar to that of Machado’s, most guess. FanGraphs estimates his AAV would be around $33 million. An 8-year, $260 million contracts ($32.5 million per year) could do the trick. 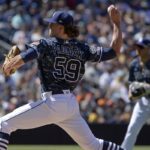 Rumor has it the Nationals offered 10 years and $300 million, so that seems to be the AAV number to beat ($30 million per year). Harper seems to care where he plays more than Machado does, who is rumored to care much more about the highest bidder. 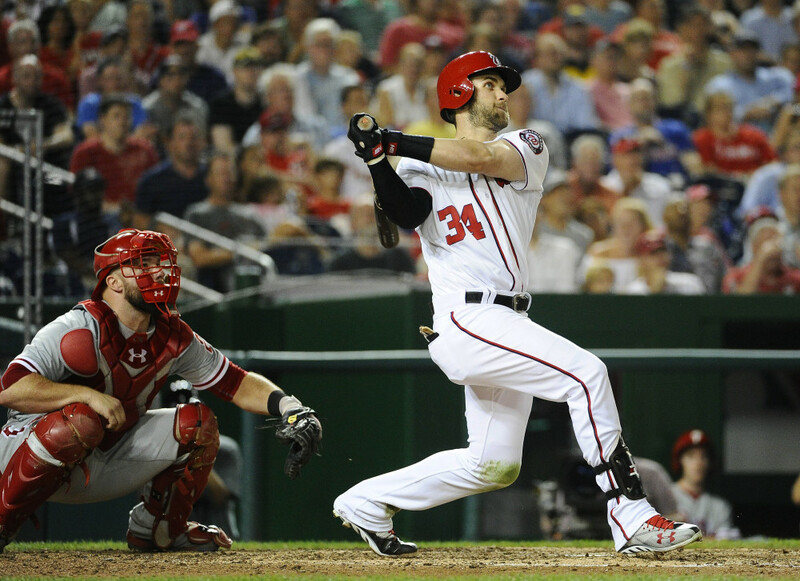 Harper is reportedly not fond of the city of Philadelphia, who is a favorite in this race. He and his wife are from Las Vegas, which is a short five-hour drive from San Diego. They actually got married in San Diego in 2016. He seems to like the city. As far as fit goes, he is the type of player where teams should make it fit. A.J. 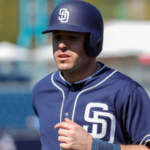 Preller would almost certainly put up a “for sale” sign in his outfield with guys like Hunter Renfroe, Wil Myers, Manuel Margot and Franmil Reyes on the trading block. Acquiring Harper would accelerate this tenfold. 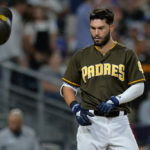 Now, just because the Padres are meeting with Harper does not mean a signing is imminent and to go get your Harper jerseys made now. Various teams have met with him because he is one of the best free agents in baseball history. However, this does show that the Padres are entertaining the idea of having Harper at Petco Park. He would certainly put butts in seats and make this ball club measurably better. 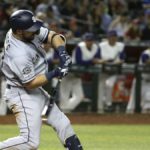 Previous Is Mike Moustakas a Solid Plan B For the Padres? I say no to “Johnny attitude” and bring on Harper! The meeting with “Johnny bad apple” hasn’t even happened as it sounds like he’s not that interest in the Padres. The logjam in the OF can be sorted out later. I am sorry Nick, WE DON’T NEED HARPER BADLY, in fact we are set in the OF and should DUMP MYERS. Machado is the player we need for 3B. That is the hole we need to fill badly. Not to mention, Machado had a good season last year and HARPER did a MYERS IMITATION. We don’t need Realmuto either, Hedges/Mejia combo will work for now. 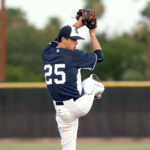 Pitching staff is close, if they can clear out these project arms who fall short for the BLUE CHIP PROSPECTS as they are ready we could reach 85 WINS this year. Haha, even a lot of people who live in Philadelphia aren’t fond of it. Adding Harper makes a ton of sense. A 26 year old superstar, whose market so far is limited to the White Sox (ugh) and the Phillies (blech). Sign him! Then trade 2 of Reyes, Renfroe and Myers. Sign Machado too! We can afford both. And it would transform the club overnight. If ownership starts to get squeamish they can always trade Myers and Richards to pare some payroll. Margot cannot be the WAR leader for 2017-2018. Has to be Myers. Though the 2.5 you quote for him is yet more to suggest that Margot may not be a ML player. That would be the Lerners. One bad contract does not a favorite schmuck make.